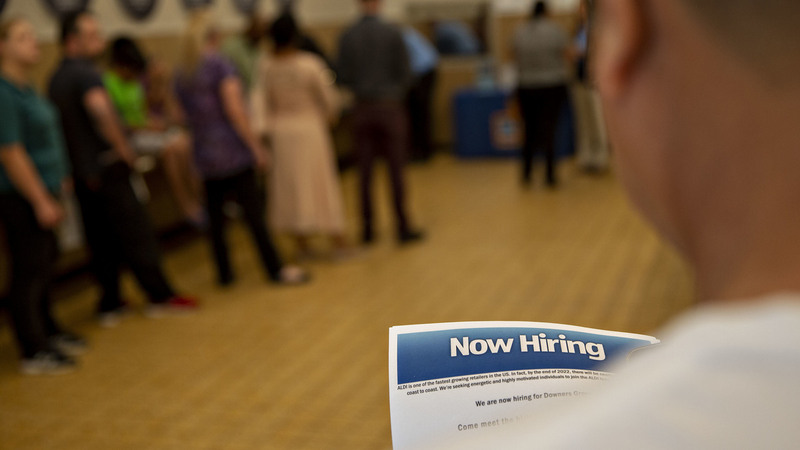 August Jobs Report: Economy Adds 201,000 Jobs And Unemployment Steady Wage growth — and more specifically, the lack of vigorous pay raises — continued to be an issue, with average hourly earnings nudging slightly upward to 2.9 percent. The U.S. has added jobs in every month for nearly eight years. Here, a job seeker holds an employment flyer during a hiring event at an Aldi Supermarket in Darien, Ill., in July.